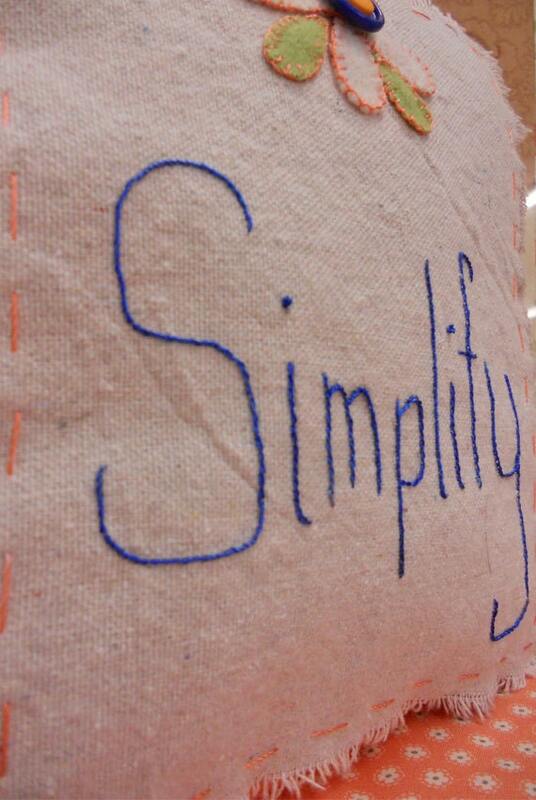 Simplify pillow designed and pieced by Mickey Zimmer. 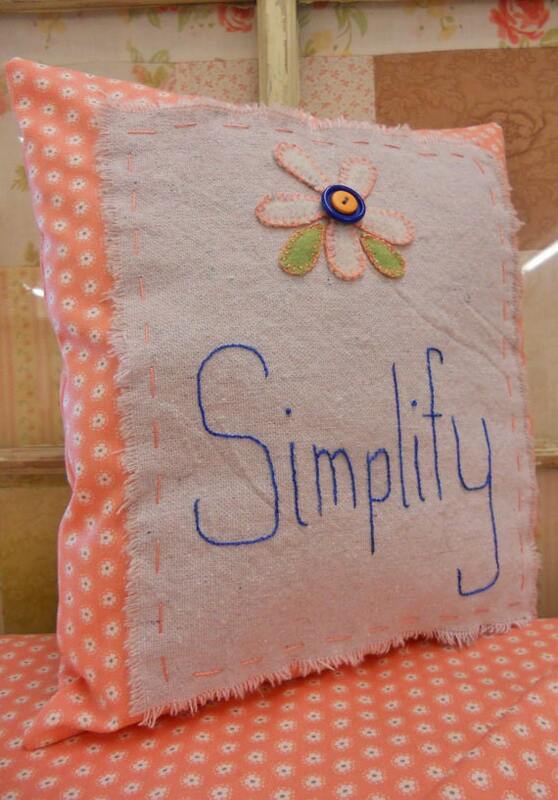 This pillow measures 9 x 10 inches when finished and fits well on a porch, comfy chair, or on your bed. We mixed coral, navy, and grey for an updated, modern look. 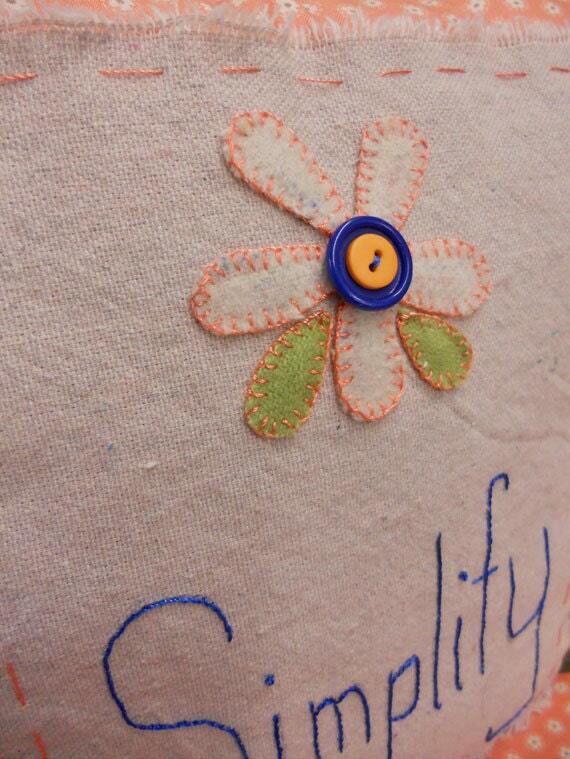 EdMar thread was used for the stitching and new and vintage buttons for the center of the wool flower. 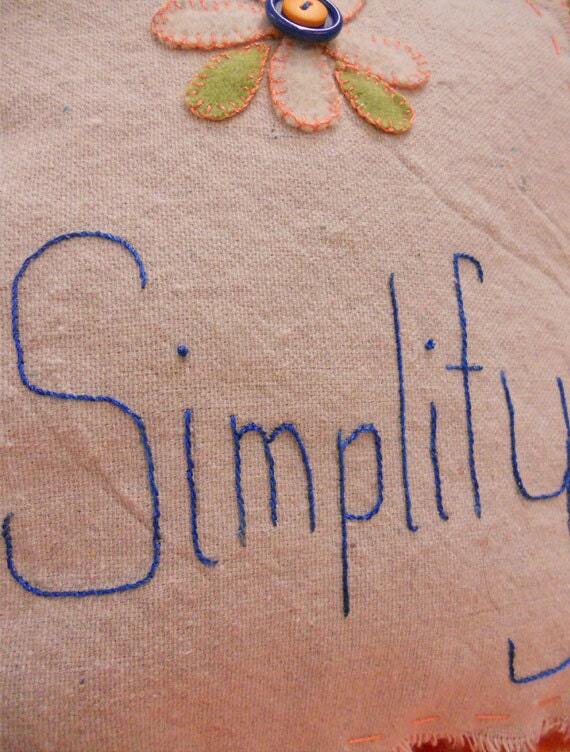 Stitches used include a stem stitch, straight stitch, and buttonhole. thanks for stopping by sweetgirlstudio! have a wonderful day!